Being Digital by Nicholas Negroponte Twenty Three Years Later – It’s amazing how his vision at the time matches today’s reality. If you are looking for something cool to read, you won’t be disappointed with this classic that is still available online. 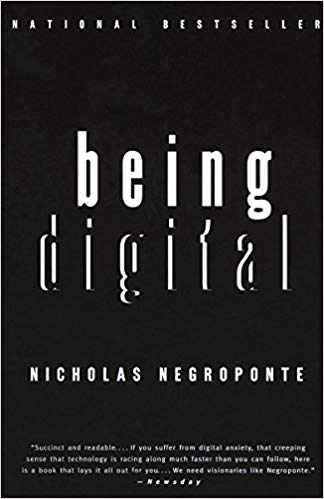 In 1995 Nicholas Negroponte, the founding director of the MIT Media Lab, published Being Digital. While reorganizing my library recently I picked it up and started reading it again. As I read I was amazed at how prescient his thinking was at the time. I felt that he had a very clear vision of where advances in computer technology and the Internet would take us. Much of what he predicted has come to pass while some of what he predicted has yet to happen. If he got anything wrong, I couldn’t find it to any significant degree. He saw the death of the videocassette and its associated rental businesses. He also saw services like Netflix coming due to the bandwidth of fiber and how it would be a game changer in terms of delivering content with copper serving as a stepping stone. He saw that advertising would be personalized as well. He also foresaw computers that would resemble thick pieces of paper like modern tablet computers. He was sad that most of the research directed at the advance of television was aimed at refining the display and increasing sizes as opposed to improving the artistry of content. He saw no reason not to expect 10,000 lines of resolution. He also predicted that computers and televisions would merge into a single device, which they have for many people as they are no longer dependent on the time of day when they want to watch something. He understood that using a lot of different fonts was a bad idea. In this case, less is more. He saw schools changing to become more like museums and playgrounds where children would assemble ideas and socialize with other children all over the world. While I’ve seen bits of this in some innovative schools, for the most part, we have a way to go to realize this vision. The Internet would create a totally new, global social fabric. With the Internet, schools could spend less time shoving facts into kids’ minds and more time engaging them in designing and building like they do in the maker spaces found in innovative schools. He decried the force-feeding of students’ left brains in schools that diminish the arts and other extracurriculars. Unfortunately, this has only gotten worse thanks to test-based reforms forced on schools by the federal government. He thought it was amusing that when ink is squeezed on to dead trees bits become atoms again. He saw the then-burgeoning field of multimedia as bridging the gap between science and art. He saw a day when most adults would also be computer literate. He predicted that virtual reality would allow you to put your arms around the Milky Way, swim in the human bloodstream, or visit Alice in Wonderland. He foresaw digital appliances with no edge at all like high-end cellphones and tablets. He saw that size would be driven by the size of pockets and watches. He said the wristwatch would migrate from a timepiece to a mobile command-and-control center as it has on my wrist thanks to my Apple Watch. How to Be Connected With Your Students by Christine Allen will help all teachers strengthen the relationships with students that are vital to their success. Some of us were lucky to meet teachers who managed to build a strong connection with them. Those who did meet them, know that teaching doesn’t have to be all about giving tests and lecturing. Teachers who manage to build a connection with their students, are able to inspire, to motivate, and to help them. And that’s an amazing thing. It is important for a good teacher to become connected with their students. This is probably the easiest and pleasant way to shape young peoples’ minds and to help them change their lives. For some students, school is a place that allows them to escape their unpleasant lives at home and to believe that things can get better. A good teacher can support them in that effort. Moreover, if you know more about your students, you can understand why some of them fall behind in the class, why some of them don’t have time to do their homework, among other things. It is very important for the teacher to see the whole situation before starting to judge their students. However, despite the fact that many teachers understand the importance of building a connection with their students, only some of them actually know how to create and support this connection. This is easier than it seems. All you need is to follow a few simple tips. Even if you spend five minutes of your class talking with students, this can still work wonders. Ask them about their interests, hobbies, discuss new music hits or TV shows, and talk with them about their day and their plans for the future. The only important thing here is to be really interested in what they are saying. This way they’ll slowly learn to trust you. If you think that some of your students have problems, try talking with them in private. However, it’s important not to rush this conversation. Start only when you are sure that your students trust you enough to share private things. Most of the information in class comes from teacher. It can, however, be changed from time to time. A class discussion will allow students to communicate both with a teacher and with each other, to speak in front of an audience to express their points of view and to support them with arguments, to be the center of attention, and to learn more about their fellow classmates. You can discuss possible topics of such discussions with students. This way they’ll talk about things that interest them and you will learn more about them. 3. Go to see the events your students participate in. Not every teacher has enough time and desire to pay attention to what their students are doing after classes. However, it’s one of the best ways to build a connection with them. If they like you, they will be happy to see you and to receive your support. Moreover, this way you will show them that you are really interested in them and in things they do. This way you may also be able to meet (or at least see) their families, to talk to them and to learn more about them. Parents too will see that you care about their children. This usually encourages them to communicate and to cooperate with teachers more. Even if you are very busy, you can add some events to your schedule from time to time. Just be sure to plan them as early as possible so you won’t miss them. 4. Show students that you are available. This doesn’t mean that you have to stay after school talking with your students. These measures are required only in emergency situations. You can still show them that you are available during your working hours. Encourage them to come to you if they need something or just want to spend their break somewhere where it’s quiet. Tell them that you can help them both with their homework and their problems if they want to. And be sure to keep this promise. After all, if you want your students to rely on you, you have to become really reliable. I hope these tips will help you to gain students’ trust and to build a strong connection with them. Christine Allen from Chicago, USA, is young writer and blogger at essaystorm.com. She believes that you can get everything that you want. You just need to be sure in what you really want and be patient. You can follow her on Facebook and Google+. Serious Challenges for School Leaders in 2017 by Sam Jones offers warnings and advice along with some additional valuable resources for anyone involved in education. If you are at the head of a school going into 2017, you’re going to facing some serious challenges. These issues need to be overcome if your school is going to survive. But it’s not just schools that could be in trouble. Any educational platform could be affected by these problems and leaders need to be prepared. What type of issues am I talking about? Tech can be useful in the school environment for a variety of reasons. For instance, you can use an online school directory to keep everyone up to date and connected. It can be useful for making sure that different areas of school body aren’t segregated such as teachers, students and parents. But, there is an issue that we need to come to terms with when thinking about tech in schools. Your understanding of tech and the students understanding of tech is going to be different. Research shows that by middle age, most of us are already losing our grasp on technology. Essentially, this means the students are going to know more than us. The simple solution to this problem is to use that fact to our advantage. Let’s harness their minds and make sure we control but accept the ways they want to use tech to learn. It will benefit them and the teaching standards that we have in schools. It’s currently unclear what state the government will be in next year. However, you can bet that as always funding in education is going to be under severe constraint. This happens every year, and we need to start preparing for it now. School leaders need to know how to effectively cut costs without losing the higher standards of education. There are both large and small ways to do this. Almost every business is now looking at ways to use greener practices to save money. Like it or not, a school is a business, and it needs to be run like one. It might be worth in investing in ways to cut energy usage if it means costs will be lower. For instance, you may want to look into purchasing new solar panels for the roof of your school. I know what you’re thinking. How can we possibly afford that? Well, you can encourage parents to invest by explaining how it will benefit their children. You should also be price checking any supplies that you buy for your school. Gone are the days when you have a class of ten or fifteen students. Now, classes are typically three times that size, and this is a problem. Research shows that teachers can not successfully provide teaching to a class of more than thirty children. Some of the students will be missing out, and this will show through their quality of work. You must make sure that you are keeping class numbers low by hiring more teachers. Although this means excess costs for the school, it will drive performance levels higher. We have to remember that educating children must be the main goal, rather than saving money. These aren’t easy problems to solve. But we need to think about how to tackle them now. Otherwise, our children’s standard of schooling will be rapidly sliding downhill. 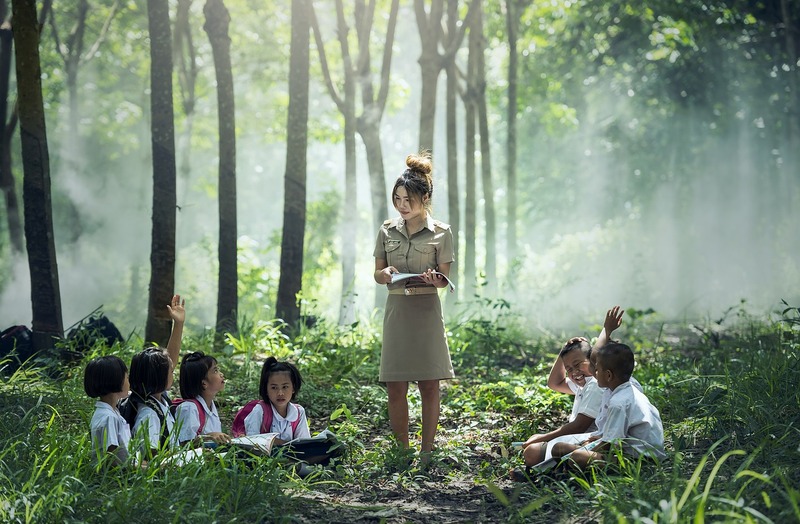 Seven Things That Can Spoil Your Relationship with the Students by Kate Khom offers excellent advice to all teachers regardless of their experience. It also provides guidelines for administrators who have to observe and guide teachers. Your most important job as a teacher is to create appropriate and pleasant conditions in which learning can take place while maintaining a good, stable relationship with your students. Your relationship with the students largely depends on your personality, attitude, and intentions. No teacher is ever identical to another teacher, just like every student is an individual. Teaching is certainly not an easy job, and it takes effort, time and experience to get better at it. However, there are certain things that you should always avoid doing in order not to spoil your relationship with the students. While it’s certainly important that you maintain your authority over the class, you should never allow yourself to become one of those cold and distant teachers that the students are scared of or uncomfortable around. If you act this way you will never be able to establish a good rapport with the students and you will surely hinder their learning because they simply will not feel comfortable enough in the classroom. Sometimes, while teaching, we can unknowingly do certain things that can bother our students. Maybe you’re talking too quickly or using complicated language. Natalie Schwartz, a renowned author of multiple books on teaching, explains how to deal with this in her her article. “Eliciting feedback can entail asking a simple question such as, So how was the homework last night?” All in all, you have to elicit and accept feedback without getting angry or offended when you get it. You absolutely should have a positive attitude towards your students and you should strive to create a pleasant learning environment in the classroom, but there is a difference between being a good teacher and being their friend. Make sure that they still remember that you are the teacher and that they have to listen to you. There is always that teacher that strictly forbids students from using their phone in class, but when their phone rings, they pick up the call and chatter away, simply because they are the teacher and that ‘’gives them the right’’ to do something they don’t allow students to do. If teachers establish certain rules in class, then they need to remember that the rules have to apply to them too. To conclude, as teachers grow in experience, their teaching improves, but until then, it is crucial that they learn to maintain a good relationship with the students. Hopefully, this article will help teachers understand what to pay attention to in their behavior and attitude towards the students so that everyone is happy and all the conditions for learning are met. Kate is passionate writer and learner located in Kyiv, Ukraine. She likes to help people and make this world better. Feel free to chat with her on Twitter or check her website . 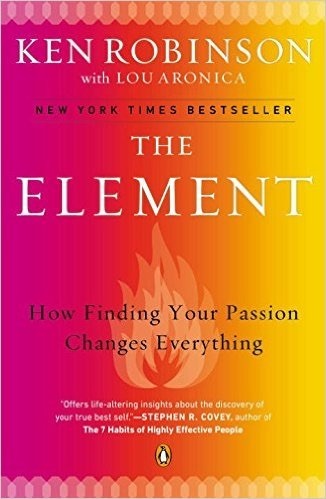 The Element: How Finding Your Passion Changes Everything by Ken Robinson, PhD (©2009, Penguin Books: New York, NY) deals with the point where natural talent meets personal passion. Ken explores the conditions that lead us to live lives filled with passion, confidence, and personal achievement. The stories about people from a wide variety of fields entertain and inspire. The book is a classic. If it’s not on your shelf, click the icon below to get your copy. If you read it a while ago, my summary will be a good review. Also check out Sir Ken’s TED Talks. Sir Ken is an English author, speaker, and international advisor on education in the arts to governments, non-profits, education, and arts bodies. He was Director of The Arts in Schools Project (1985–89), Professor of Arts Education at the University of Warwick (1989–2001), and was knighted in 2003 for services to education. Originally from a working-class Liverpool family, Robinson now lives in Los Angeles with his wife Marie-Therese and children James and Kate. We are all born with tremendous natural capacities, and we lose touch with many of them as we spend more time in the world. Ironically, one of the main reasons is education itself. Young children are confident in their own imagination and usually see themselves as being creative when they start school. By the time they finish formal education, most don’t feel that way. Ken uses the stories of people who did find their Element and offers them to help us all do the same. Most of the stories were gathered via direct interviews that often feature twists, turns, and surprises. Here are some of the people who’s unlikely stories help make this book so special: Matt Groening – Simpsons creator, Gillian Lynne – dancer and founder of company that did Cats and Phantom of the Opera, Paul Samuelson – economist and author, Paul McCartney – Beatle, John Cleese – Monty Python member, Mick Fleetwood – drummer Fleetwood Mac, Bart Conner – Gold Medal Gymnast, Gordon Parks – Founder of Essence Magazine, Buckminster Fuller – architect, Ewa Laurance – woman’s world billiards champion, Aaron Sorken – award winning writer for stage, movies, and television, Meg Ryan – Actress, Arianna Huffington – creator of The Huffington Post, and Richard Branson – Entrepreneur. Creativity isn’t a science or a formula. It is one of those things you can’t just buy and use. Developing creativity in yourself is a lifespan job. You need to take frequent small steps to surpass your average results. It takes much patience to overcome obstacles, such as lack of time or strength, someone’s critique, or your own doubts in an. You must realize that creativity is something you are born with, and if you do not use it, you may lose a part of yourself. Fostering creativity, however, in someone else is even more difficult. Thus, if you are an educator or a parent and want your students to use their imagination to provide outstanding solutions, you can’t just assign them a task and expect creativity to flourish. Imagine that creativity is under a heap of gravel and to get it out pulling isn’t enough. Piece by piece you need to uncover it and bring to surface. Outside the box thinking and imagination without borders are two essential constituents of creativity. I noticed that usually adults try to place children into a certain framework of standard behavior and rules. Of course, it’s a normal phenomenon since society trys to prevent chaos and self-destructive acts resulting from extraordinary behavior and thinking. However, making an obedient citizen of a child can stifle creativity and the desire to produce something unique. When I hear about “suppressed creativity”, I recollect one example of a family I knew once. The mother had an unaccomplished ambition of becoming a singer. She projected this dream on her daughter who didn’t like being in the spotlight at all. She escaped from her family and their cage of restrictions via her creative drawings. Fortunately, the girl had enough willpower to stand her ground and resign from a signing career. Yet not every person endowed with unique creative mindset can resist their family and school that just do not see it in you. That’s why fostering creativity is so important for every person, teacher, and parent. Use music or ambient sound in the background to help students concentrate and improve performance. Engage students in brainstorming ideas, which will help them use different approaches to find solutions. Separate providing students with new information from creative tasks. Do not mingle both educational processes so as to avoid misunderstanding and confusion. Motivate your students with counterfactual tasks that will allow them to view a problem from multiple perspectives and think outside the box. Provide space and resources to encourage creative expression. Don’t evaluate your children’s creative ideas, point out mistakes, or underline fails. Give your kid more freedom to research something new. Let your child try some extraordinary hobbies or even those activities you consider useless. Allow your kid to disagree but ask to explain why. Don’t reward your child for expressing his creativity. Your kid should strive doing that for free. Don’t critique yourself every time you make something new. Just keep on doing that and enjoy this amazing process of discovering your new potential. Protect this creative kid in you to stay passionate and interested in your own thinking process. Be patient. It can be easier to tolerate someone’s mistakes than your own. 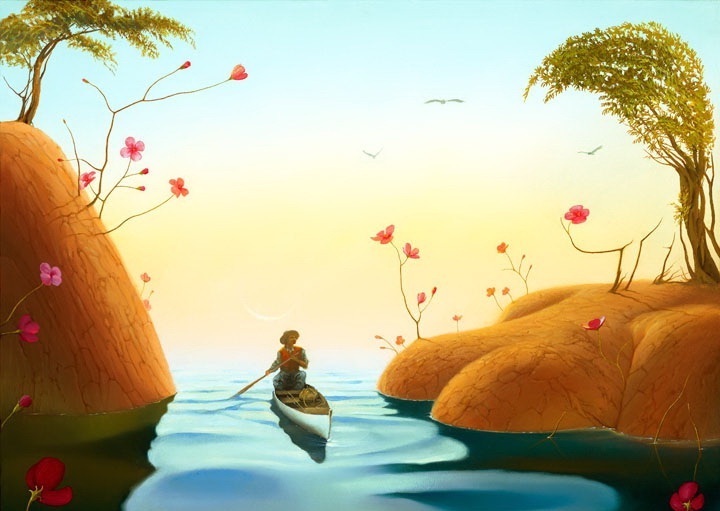 Be brave and curious about yet unexplored areas of your imagination. Go for a long walk to relax and unleash your mind. Let yourself be messy at least once in a while. It will help you to relax, forget about your surroundings and your duties. Tips may not be enough. You may need some extra tools to express and encourage yourself to develop something worthy. Here are five of the best tools that can wake up a creative kid in everyone. It’s not necessarily to have a group of 6 people to brainstorm new ideas. With the help of Brain Plots you’ll be able to find some unexpected solutions as you work and study. When you tab your ideas in this app, you get suggestions which you can either decline or accept. Then you’ll get a full picture in the form of a TED presentation. This interactive service allows you to work with images, videos, graphics, audio and text in one place. It helps you create a multimedia poster using many creative skills along with critical thinking. Also, this platform develops creative hunger to see the final result of your work. Glogster is a good educational app to complete assignments and projects in a new way. This service has the largest database (1 000 000+) of essay and research papers uploaded by real students who received at least an A- grade. Using StudentShare you’ll be able to find an effective formula for how to write your next essay with inspiration and no procrastination of your deadline. Plus, you can figure out what resources and references are the most appropriate for your writing task. It is a creative room where writers and readers gather to share their ideas and attitudes on a new story, poetry etc. This educational app certainly promotes thoughtful writing and critical analysis. This service is targeted at boosting your creativity via special understanding, brainstorming and idea-generating tools. Once you choose the Toolkit category, you’ll see even more features such as Decision Making, Leaderships Skills, Problem Solving etc. Thus, you’ll be able to master the 28 skills and discover new opportunities for your creative world. The main goal of this service is to provide assistance in all stages of the creative process. If you are seeking a formula to make your creative ability progress, start by planning and outlining what exactly you expect from a certain process. Write down one reason you need to continue creating something after a break even if it’s only to get rid of boredom. Do not restrict yourself with a fixed timeframe since it can make you feel suffocated with a forced creativity. Creative ideas usually come while you process ideas, so what you need is to start creating something that brings you joy and pleasure. Your progress will turn long-term when finished works incite you to the next creative project. 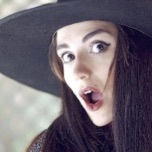 Veronica is a true edtech expert and a professional blogger with five years work experience. She tries to provide students with up-to-date info on how to improve their study habits. Veronica lives in Delaware, USA.. The Highest Paying Freelance Jobs To Focus on For Maximizing Work From Home Earning by Danielle Ward introduces some of the most common and well paid freelance jobs currently available. If you haven’t found a full-time job yet or can only work part-time, some of these jobs might be for you or someone you know. Freelancing is the ‘in’ thing, quite officially. The largest corporations out there are hiring freelance IT developers, website designers, copywriters, and app developers for short term and long term projects. Of course, freelancers also continue to thrive by taking up paid projects from the most recognized global job exchange marketplaces with equal success. The point is, freelancing is no more just an additional little drip of dollars, but a gushing brook of decent income, which is comparable to, and sometimes even exceeds that of people with similar skills employed in corporations. All this notwithstanding, here we focus on telling you more about the highest paid freelance jobs, and the skills that are highly in demand. Do you have experience in marketing? Didn’t land a job after that marketing diploma? Have you acquired some experience in digital marketing? This is the time to hop on the freelance bandwagon, because marketing gigs can pay you anything between $40 and $50 per hour. Freelance engagements in marketing range from anything like brand management efforts, product promotion strategies, and real sales, to niche digital marketing efforts such as social media brand management, email marketing, etc. Even reputed employers are engaging freelancers to provide impetus to their marketing efforts. Some reselling options are there as well where you don’t need to invest something and based on your marketing skills you can start making money for each sales/sign ups. Did you realize how the advertising winds have been blowing in the direction of video content from the past couple of years? Yes, most advertisers now prefer creating short but catchy videos. If you have a great voice, and have some experience or idea about voice over and dubbing, you can offer your services, and earn up to $70 per hour. People respond well to videos, which has created a large market space for voice over artists and dubbing artists, which means there’s a lot of money to be made for candidates with the right skills. Freelancers are finding great short term opportunities of being a part of HR operations at growing organizations. They can offer services such as drafting of job descriptions, managing recruitment drives, handling documentation aspects of hiring, and even conducting preliminary interviews to shortlist candidates. Better paying opportunities in HR freelancing can go up to $50 per hour, whereas the ones more restricted to documentation can pay up to $30 per hour. The one downside, however, is that freelancers need to aggressively hunt for newer projects to keep the income stream strong. Another downside is that you probably won’t get access the health care from your freelance employers. This is the umbrella mini-market for all kinds of web development, software development, and app development assignments. Programmers who work with conventional technologies such as Java can make up to $40 per hour by developing programs for projects. However, people with knowledge and experience of lesser known and more contemporary programming languages can make almost double the amount every hour. The key to success as a freelance programmer is to give quality work, and let the positive feedback bring in more clients. Though this is among the oldest vistas of earning via freelancing, skilled graphics designers are in high demand. Experienced Photoshop artists with impressive portfolios can earn up to $40 per hour. Within graphics designing, there’s a niche called ‘info-graphics’ design, which pays as much as $80 per hour. Info-graphics are content heavy designs, with lots of stats and facts organized in the form of a vertically extended graphic. If you have animation skills (2D or 3D) there are many companies in need ot animated content who aren’t big enough to hire full-time animators. 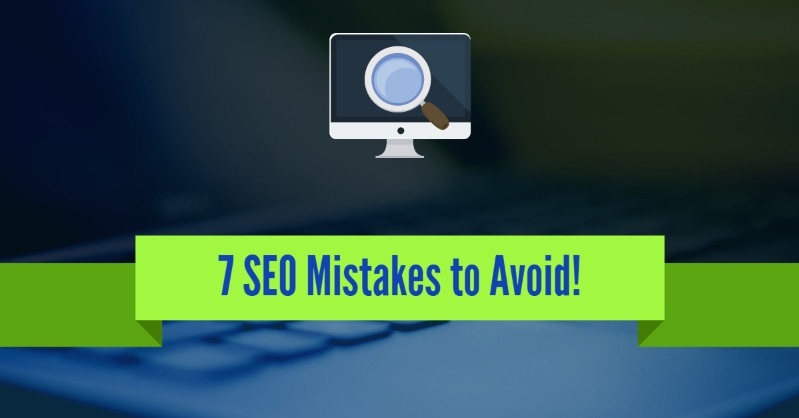 Because of the frequent updates brought on by Google, search engine optimization continues to be a lucrative field for freelancers, especially those with updated knowledge and skills to get good rankings for client websites. The great part about freelance SEO experts is that they land projects that pay up to $40 per hour, and the number of hours they can bill to the client are on the higher side. That’s because freelance SEO engagements extend over a few weeks. Freelance SEO experts can get repeat business from their clients, and can hence earn significant incomes. The number of blogs and websites on the web has had an exponential surge in the past decade. In parallel, search engines have aligned themselves to treat websites with great content with good SEO ranking. 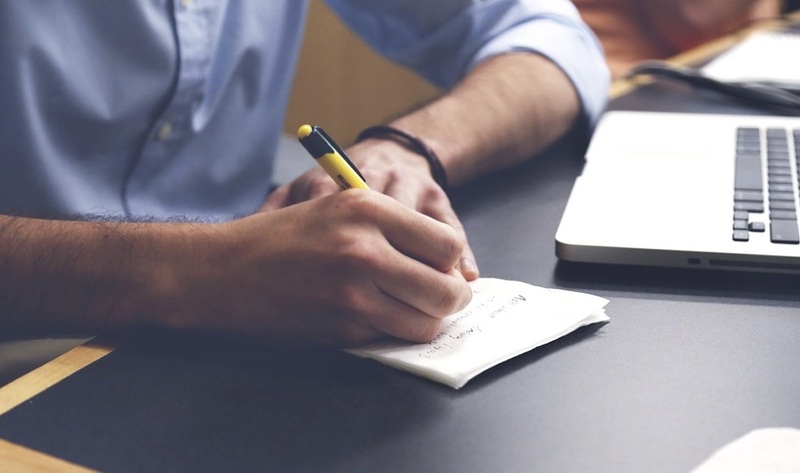 These factors have enabled copywriters to sustain their incomes from freelance assignments. Mid-level copywriters can make up to $30 per hour, whereas experiences writers can make up to $55-60 per hour. Like SEO, freelance copywriting comes with the advantage of repeat business from clients, which makes it a lucrative freelancing option. So those are some of the most sustainable, highly paying, and in demand freelance skills. If you’re looking to expand the scope of your freelance work, or looking to join millions of people who are already freelancing, you might want to invest effort towards honing skills relevant to these engagements. Danielle is a Blogger by profession and loves sharing my thoughts over wealth and wellness blogs so that people can live a healthy life with a handsome income. 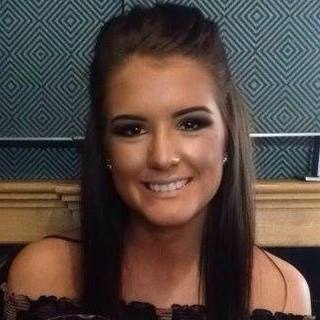 She is based out in the UK but planning to move to Malta soon. The World Is Open: How Web Technology Is Revolutionizing Education by Curtis Bonk tells the story of the ten openers that allow the Internet to change the face of education. Bonk builds on the work of Thomas Friedman’s The World Is Flat to explain how anyone can learn anything, anytime, anywhere. He uses abundant stories and examples to make his point. As you read you will want to check out places on the Web he mentions. Any educator, parent, student, or citizen should be familiar with Bonk’s Ten Openers. © 2009, Jossey Bass: San Francisco, CA. 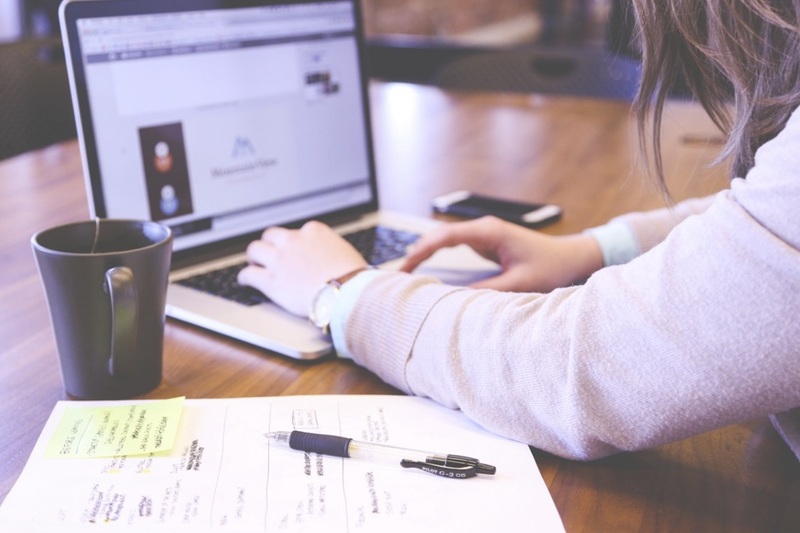 Three Cornerstones to Consider When Choosing an Essay Writing Company by Lucy Adam from the UK offers a look at an industry that is no doubt much larger than most educators realize. She also gives good advice for choosing and working with these companies. While I don’t recommend passing someone else’s work off as your own for a grade or college admission, I do think that getting feedback from a professional writer is a great way to improve your own writing. Why Students Pay for Essays: According to statistics, essay writing is one of the most quickly developing niches in the writing business. Let’s face it – the essay writing industry is worth over 128 million dollars or 100 million pounds and is expected to grow further in the future. For example, the two biggest UK essay mills process more than 20,000 orders a year! This undeniable popularity of essay writing services opens great perspectives for both writers and clients. The latter, however, are always in danger, as they can never know what to expect from the ubiquitous companies on the market. In fact, paying for an essay is basically gambling, as in 90 cases out of 100 you cannot be sure of the reliability of a company that you are using for the first time. But is buying an essay a worthwhile option? How to make sure that the company provides the best value for money? How to hit the bull’s eye when ordering an essay for the first time?Below are three cornerstones to consider before making your first order. The first thing you will encounter is the company’s website. Ideally, it should be neat, understandable and contain detailed information about the service. If you are satisfied with what you see, compare the type of work you need with the services provided by the agency. Some companies sell ready-made papers, while with others you give detailed instructions to writers in order to explain to them what exactly you need. 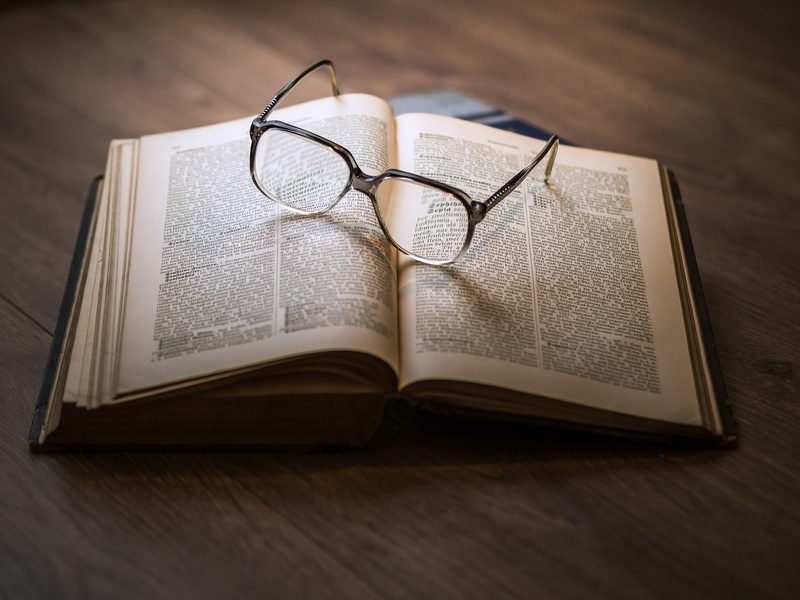 The big advantage is that you can ask the author to adapt his or her writing style to match yours so that the paper will not look like a sudden huge leap from “D” to “A” level work. Moreover, a reliable writing company must ask you about your class and writing skills, not to mention the paper guidelines. If you are not requested to send a sample of your previous essays, how can you be sure that the future work will suit you? Decide what you need. A custom essay, essay help, research paper, term paper, homework help or proofreading? When it comes to essays, they can be narrative, descriptive, expository, persuasive, argumentative, analytical, etc. The more detailed the guidelines, the easier the essay writing and the less you will be charged. Apart from feedback, the best way to check whether a service is reputable is to test its customer support. It most likely operates via email. If so, make an enquiry and wait for a response. It should come very quickly and contain a detailed explanation of the issue. If that does not happen or is delayed, think twice before ordering an essay from this company. You must be able to get in touch with them whenever you need, 24/7. As for reviews from previous clients, it is better to check them personally by contacting a few satisfied customers from the list. Unfortunately, many companies pay strangers to write feedback. Another sign of reliability is the amount of personal information requested. If the company asks for data that you think they do not need (for example, your social security number, phone number or birthday), these people may want to make money off your identity. Are Ph.D. and MA writers onboard? Do you have an opportunity to choose the author and communicate with him or her yourself? Is there a rating system showing the best writers alongside the price? Is it possible to get a free sample to assess the level of writing and general look of an academic paper? The price may seem to be crucial, but this is only at first glance. Purchasing based on price alone, you have a high chance of failure, especially when it comes to admission essays. If you need writing help only once, is there really a good reason to save money? Do you care how much you will spend on a ticket to Oxford, Cambridge or any other university that you have been dreaming about for a long time?! The Conclusion, or Do Ethics Matter? Being a conscientious student (which I hope you are), you cannot help but consider the ethical side of paying for an essay. The problem is a complex one and everything depends on your personality. Cheating is bad, no doubt, but haven’t you asked yourself how fertile the ground must be to generate hundreds of essay mills all over the world, not just in the UK and USA? 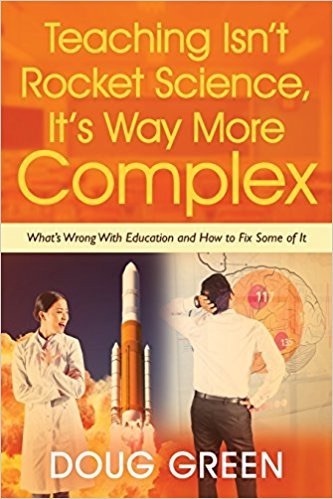 Don’t you think that worldwide educational problems are too significant to pretend that there is a level playing field? While I generally don’t favor submitting work you have purchased as if it is your own, I think it’s important for my readers to understand that this goes on and how the system works. Here are some questions I suggest you and your students consider in addition to the thoughts offered by Lucy. 1. Rather than leveling the playing field, doesn’t purchasing essays tip it more in favor of students with means and against poor kids? 2. If your purchased admissions essay gets you into a better school where you can’t compete, will you be more likely to drop out than if you went to a school that your real skills can get you in? 3. I would hope that most teachers would have students submit writing samples done entirely in class along with outside assignments. This would allow the teacher to see each student’s skill level, which they could compare to submitted work done outside of class. Would this cause more kids to get caught cheating? 4. It seems that going through the process of selecting an author, providing him or her with a sample of your writing and negotiating topic and price would be a valuable experience that requires critical thinking and problem solving. As a result, the student could be building skill for life in the real world. 5. Would it be possible for a service to help a student edit a piece or writing? This wouldn’t involve any more cheating than kids do when they ask a parent or friend to read what they have written. I know my wife read everything my daughter wrote for submission and gave her suggestions for making it better. She also proof read everything I wrote while I doing working on my doctorate. Getting good feedback from a professional writer is valuable. If you can afford to purchase help, this is what I suggest. Welcome to my blog. The purpose of the blog is to provide free content that will serve as bite-sized staff development material for practicing school administrators, people who wish to be administrators some day, teachers, and parents. I also hope that it will generate some discussion that we can all share to help with your day jobs and life in general.